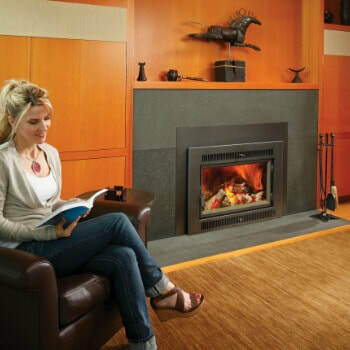 ​The Rectangle | FPX Large Flush Wood-Hybrid Fyre Insert can heat up to a 2,500 square feet space. 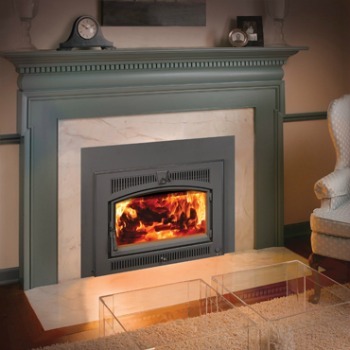 This flush fireplace insert can deliver burn times of up to 12 hours! This insert is the most efficient, cleanest burning, large wood insert on the globe! At just 0.58 grams of emissions per hour, this unit delivers over 80% efficiency. The Hybrid-Fyre™ technology delivers an amazing clean burn, releasing practically no carbon monoxide. This innovative technology makes the unit more efficient and saves you money! With a 19 inch depth and 3 cubic foot firebox, this unit pairs perfectly with large masonry and zero clearance fireplaces. The unit features a beautiful fire display and two fans.